For the past 14 years, Maggiano's Little Italy has been partnering with the Make a Wish foundation to grant the wishes of children with life-threatening conditions. With more than $7 million raised and more than 900 wishes granted, Maggiano's has certainly done its part. And this year, they've rolled out a brunch menu for the very first time and are invited diners to "Brunch with a Purpose." Now until August 2nd, $1 will be donated from every brunch entree ordered to benefit Make a Wish! The GF and I stopped by to see what the brunch menu was all about - we are talking about an Italian restaurant after all! And more importantly, we appreciated hearing about the collaborative journey Maggiano's has been on with the Make a Wish Foundation. 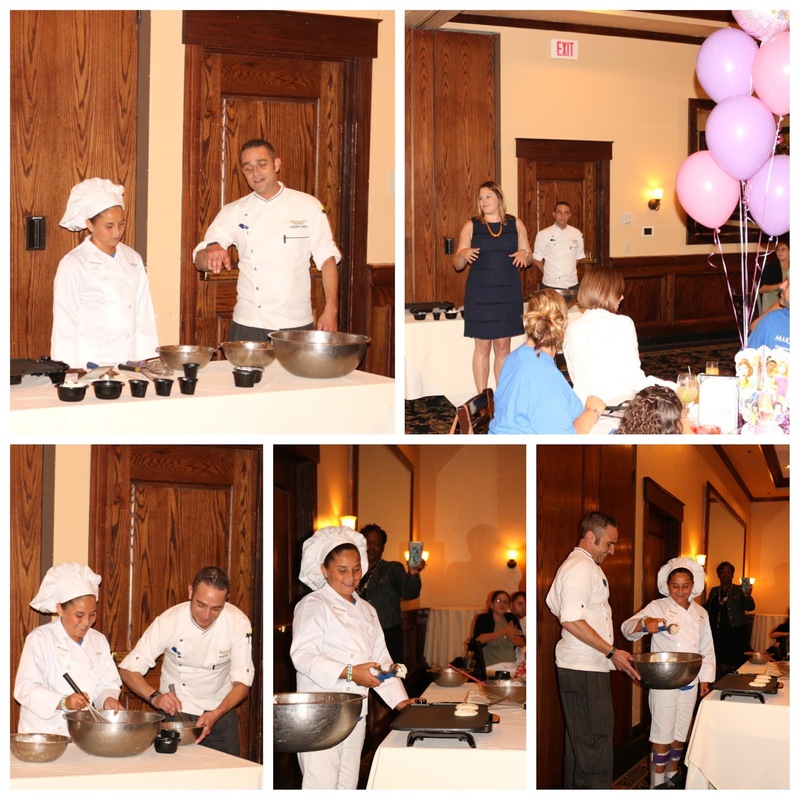 A local Philly family was on hand to talk about their experience and it was a joy to watch one of their daughters whip up and cook some lemon ricotta pancakes with the charismatic Executive Chef Stephen Janisz! 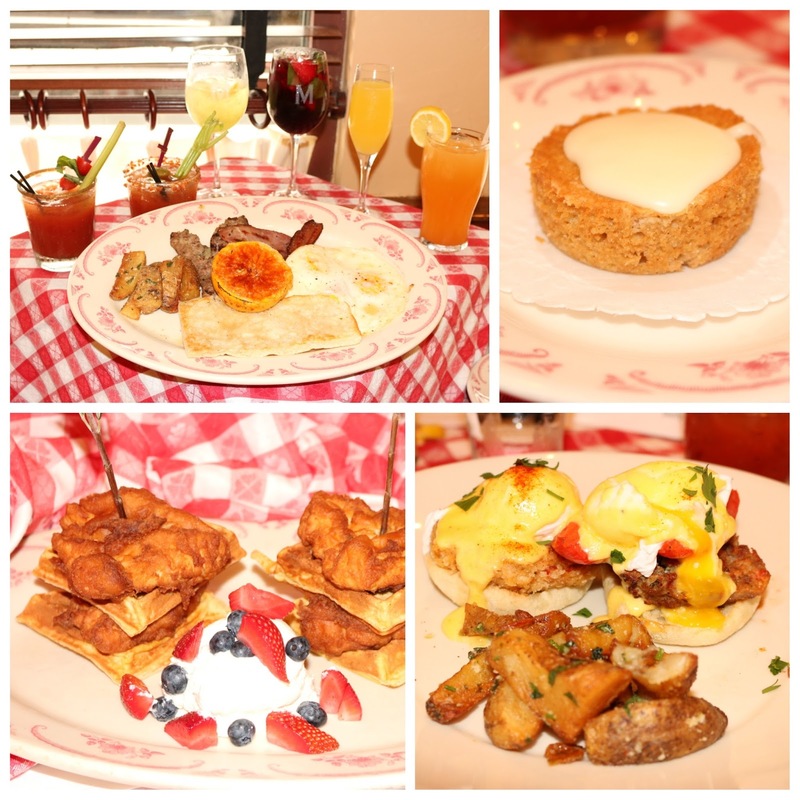 Brunch will be featured on the weekends with a variety of menu items including the Italian American Breakfast with three eggs, Nueske's ham & bacon, sausage, crispy Vesuvio potatoes (great texture and taste!) and a candied orange. There's a veggie frittata with shiitake mushrooms and smoked mozzarella as well as a number of eggs benedicts, including crab cake, smoked salmon & spinach, Chicken Francese, and yes - a meatball eggs bene! Maggiano's also has a fried chicken and waffles and a cranberry-raisin creme brulee french toast. Plenty of brunch cocktails are on offer, including sparkling sangria, aperol spritz, a Ruby Red peach cooler, mimosas, and Bloody Mary's. So if you're looking to help support local Philly families through the Maggiano's & Make a Wish partnership, stop by Maggiano's on 12th and Filbert to check out their new brunch menu. Prepare to be pleasantly surprised - everything's made in house and there's a clear passion emanating from Chef Janisz.